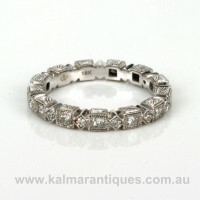 Product code: ES6900 Categories: Sold Items, Sold Rings. 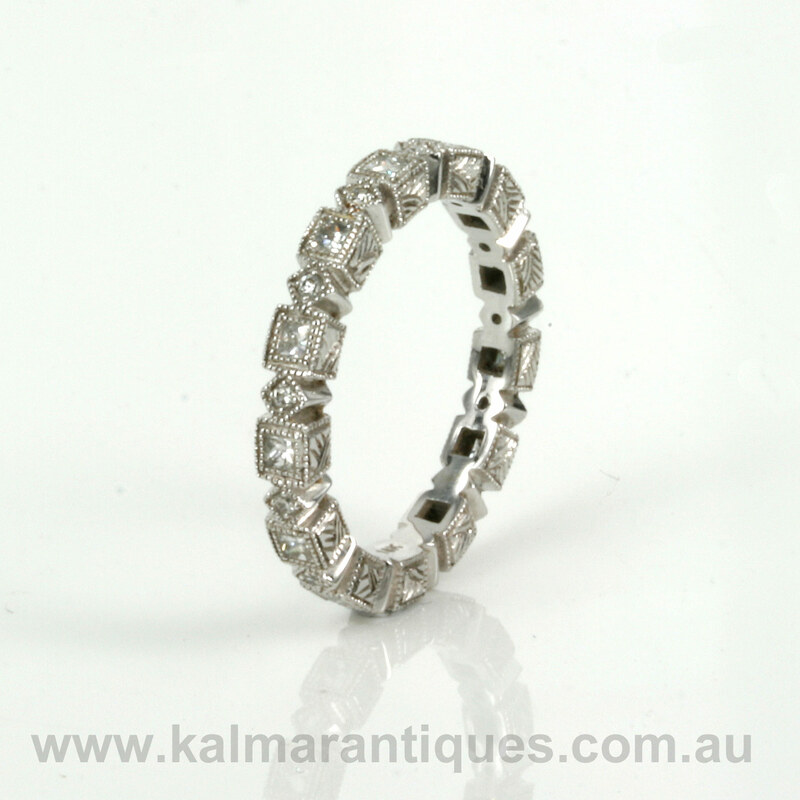 Here is a really beautiful eternity ring made in 18ct white gold and set with 26 diamonds in a combination of both round and square diamonds. 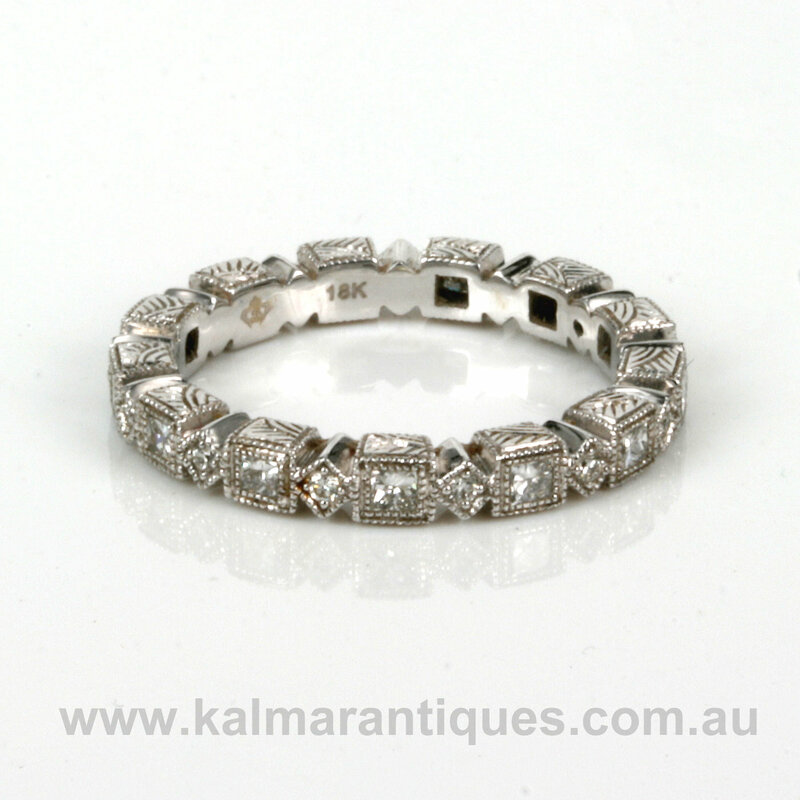 A modern ring with a style reminiscent of the Art Deco period, this ring is made in 18ct white gold with the most delightful engraving on the sides. There are 13 round diamonds and 13 square cut diamonds and total 0.68cts and are all F to G in colour and VS in clarity meaning they are all lovely white diamonds with no eye visible inclusions. Wonderfully milgrain set which can be seen as the crimping along the edge of the setting, this detail adds so much more charm and character. Measuring 2.7mm wide this ring sits so well on the finger on its own or of course next to an engagement ring.